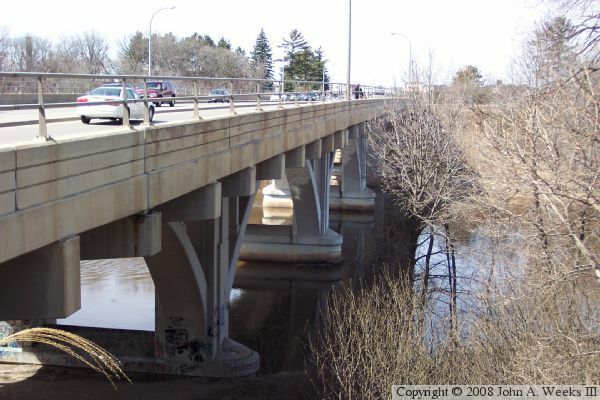 The MN-210 bridge is one of five Mississippi River crossings in the small city of Brainerd. The bridge is a fantastic example of the 1930s era art deco style of construction. It has a number of details cast into the concrete, and the repeating arches give plenty of places to add on those details. This bridge absolutely has to be seen from the side to be appreciated. It is a monumental sin that the City of Brainerd does not make any type of provision for people to look at this magnificent structure. All four corners have steep drops and are obscured by trees and brush. The one angle where I could even get a glimpse of the arch structure was by walking though the back yard of a home situated next to the bridge. In this sense, Brainerd is like a lot of cities that views the river as an industrial asset rather than a quality of life asset. They wall off the river so people do not see it, rather than embracing the river as a local treasure. 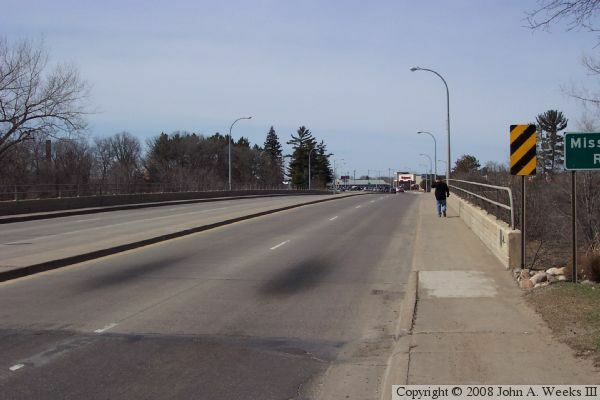 The photo above is a view looking west down the length of the bridge deck. 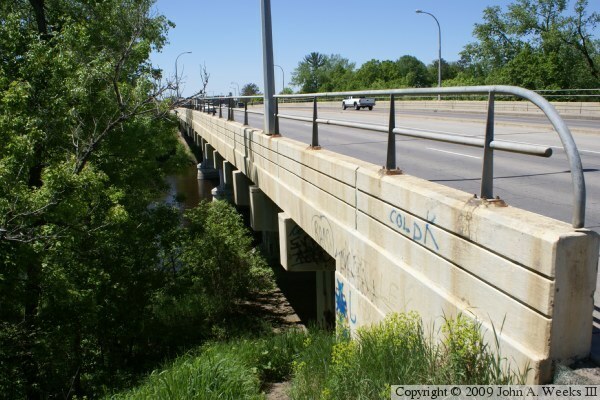 The photo below is the south face of the bridge looking to the west. The photo at the top of the page is a view from the northeast corner of the structure. 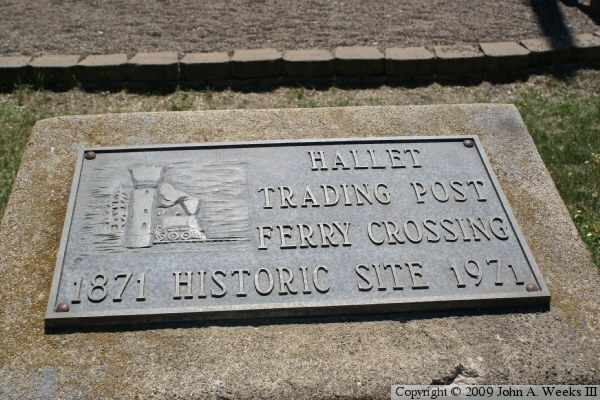 The photo above is a plaque mounted in a historical display in a small park near the southeast corner of the bridge. 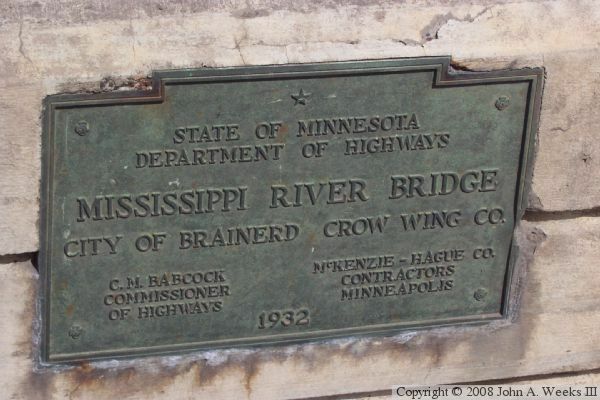 The photo below is the ornate bridge plate.